Ken Cosgrove | Telematic Dan! "Yeah, Ken would be in jail." I had a blast covering the red carpet at the Mad Men Season 4 Premiere in Hollywood on July 20, 2010. 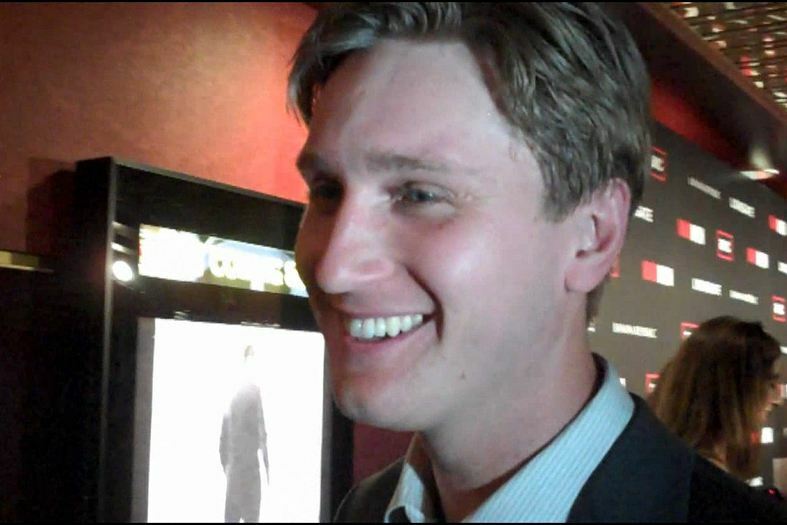 My favorite interview was with the hilarious Aaron Staton, a.k.a. Ken Cosgrove (“It’s Ken…Cosgrove…Accounts.“). Staton is one of those actors who has that infectiously likable charm that just makes you want to be in the room with him. He’s like the Vince Vaughn of basic cable dramas. When Aaron noticed my little Flip Ultra HD camera and praised it, I couldn’t help but remember when Timothy Olyphant made fun of it at the Justified premiere (which I will keep getting mileage out of until the day I die, thank you very little) so I had Aaron call out Timothy. I’ve included the Olyphant clip in the interview here with Aaron…and hang around until the end when I ask Aaron about Ken and a potential sexual harassment lawsuit.